By definition 'Degradable Plastic' means a plastic film containing a controlled percentage of an appropriate non-toxic, non-tinting additive, which will enable the plastic film to totally degrade when exposed to aerobic or anaerobic conditions, including when disposed in a landfill or other regulated dumping area, and within such period of time as specified. Some degradable plastic products are based on starch derived from maize. These materials predominantly require an active microbial environment such as landfill or composting before they will degrade - some will totally degrade in such an environment but others will only perforate, and the plastic component will not degrade. The remaining plastic particles can e harmful to soil, birds and other wildlife. Whilst using renewable ingredients may seem attractive in principle, they do not offer the best way forward. Organic waste can be put into compost sacks in homes, restaurants, hospitals etc and put straight into the composting plant without the messy and expensive business of emptying the sacks and disposing of them separately. Disease transmission by flies and rats and handling hazards to humans are effectively minimized by the use of such sacks. For the reasons described above, much more waste can be safely and conveniently composted for use instead of being sent to landfill and lost. Degradable bags can also be recycled or incinerated instead of being sent to landfill. Degradable packaging is entirely recyclable. After cleansing, separation and re-extrusion the degradation process is arrested, and the recycled plastic reverts to the properties of conventional plastics. Interestingly, as a further option, the additive can be added to recycle and will cause that to degrade in turn if that is the required outcome. 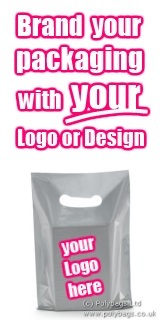 Website specialised in degradable packaging. Find suppliers and information about degradable bags. Promising new uses for bio-based materials like polylactic acid (PLA), cellulose and starch-based renewable bio-degradable films will help the packaging industry in Europe make important progress towards green packaging which reduces food waste and more broadly, the environmental impact of packaging. Why do we need degradable bags?